What makes eventing so special as a sport? The horses - they are the ultimate all round athletes. 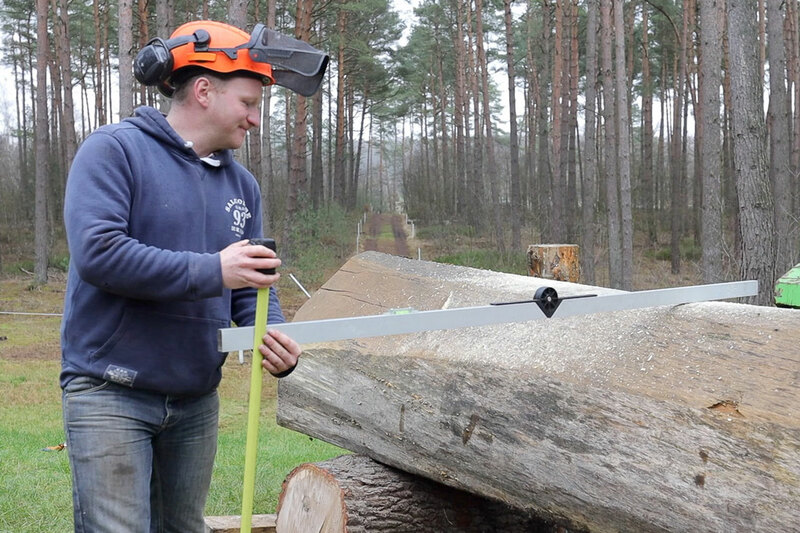 Are you planning to compete at Luhmühlen this year? I’m planning to come and aiming for the CCI5*-L, not sure about the horses yet. What’s the first memory that comes to your mind when you think of Luhmühlen? Black Tie, as he loved it there and went so well – and the fantastic working arenas. The relationship that your whole team gets with the horses, and learning all about the different personalities of the horses we get to ride. The feeling of pride and achievement when it goes well. 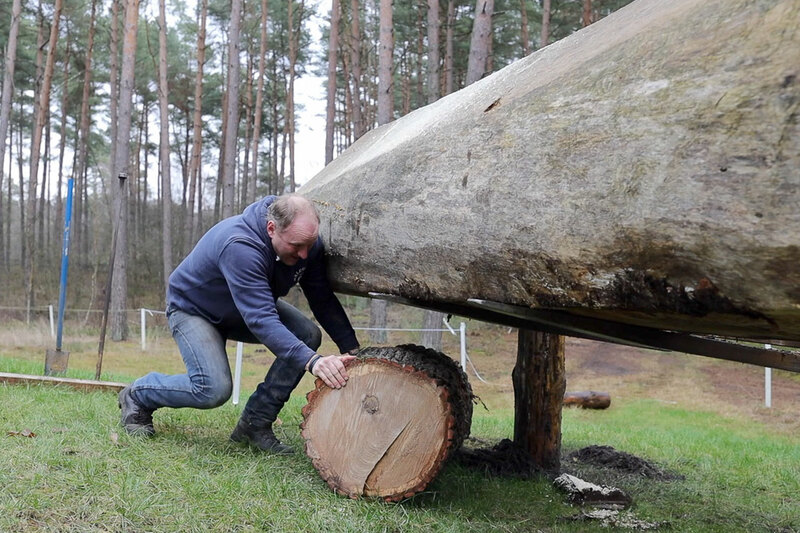 Obviously you won’t be competing at Luhmühlen this year – but are you planning to return next year? Yes I would love to return again with Zenshera as it is his favourite event! atmosphere that the crowd created. Partnership. 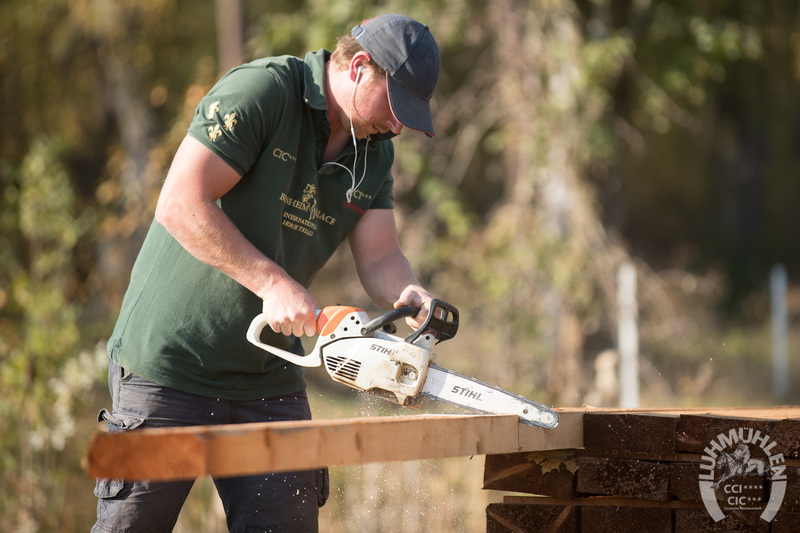 The leading horses and riders have to demonstrate an incredibly broad range of skills. To do this successfully and consistently means the partnership is a real one. Are you planning to ride Luhmühlen this year? I am planning to bring two horses to Luhmühlen this year - Ascona is aiming for the CCI5*-L and Falco is aiming for the CCI4*-S. What’s the first memory that comes to your mind when you think of Luhmühlen? I came on foot to support my then girlfriend (and now wife!) Jonelle in 2006. It was my first experience of German hospitality, plus it was very hot that year, so the beer tasted very good! The focus has often been on the rivalry between you and Jonelle – but how much do you actually support and rely on each other? We are each other’s biggest drivers at the end of it all, pushing each other every day to improve. Without Jonelle I would not be where I am. The versatility is absolutely fascinating. It‘s such a challenge to train a horse for the three phases, so for me that’s part of the excitement. And obviously the cross-country phase: the feeling of complete happiness after a great cross-country round outshines every dressage or show-jumping achievement. 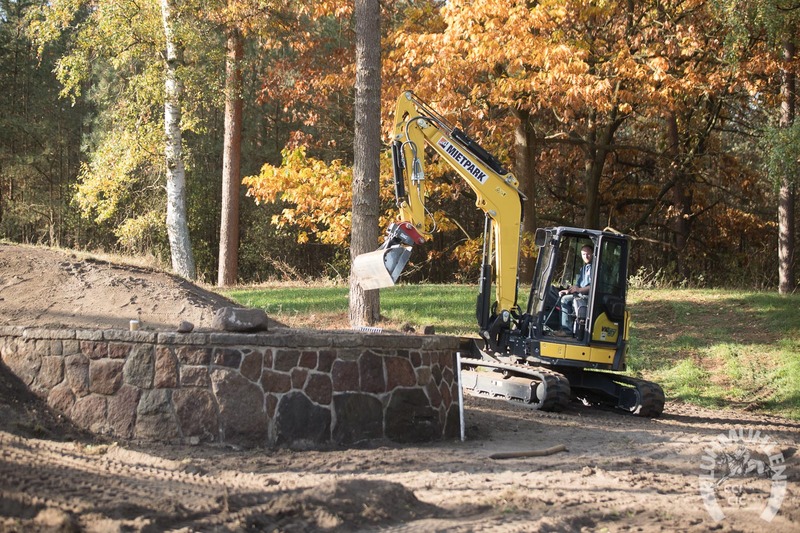 Are you planning to ride at Luhmühlen this year? Yes, I‘m planning to ride the CCI5*-L and the CCI4*-S but at this stage I’m not sure which horse will compete in which class. There are many great eventing competitions but Luhmühlen and Kentucky (USA) are the only ones with perfect dressage and show-jumping conditions for the horses. There are so many great memories, for example my first four-star win or winning at the European Championships in 2011. But an absolute highlight was competing in my first two-star at Luhmühlen with Sam many years ago. At the time I was still quite inexperienced, so it was a tremendous experience. Are you planning to ride Luhmühlen this year? Sadly I am not planning to ride there this year. What’s the first thing memory that comes to your mind when you think of Luhmühlen? The focus has often been on the rivalry between you and Tim – but how much do you actually support and rely on each other? Eventing is one of very few sports in the world where men and woman compete on equal terms so it’s very unusual to have a married couple compete on the world stage against each other. So the rivalry factor is regularly at the forefront but behind the scenes we very much work as one unit. Whether it be planning, eyes on the ground, asking for some advice - were constantly feeding off of one another. Eventing is the ultimate test of the horse and rider partnership so you really need a mutual trust and understanding to be successful. This makes for a really special relationship with the horses to get the best from them across three different disciplines. Hopefully I will be selected to represent Team GB at the Europeans in 2019. I’ve been to Luhmühlen three times before and it’s been a good but not quite lucky place for me so far! 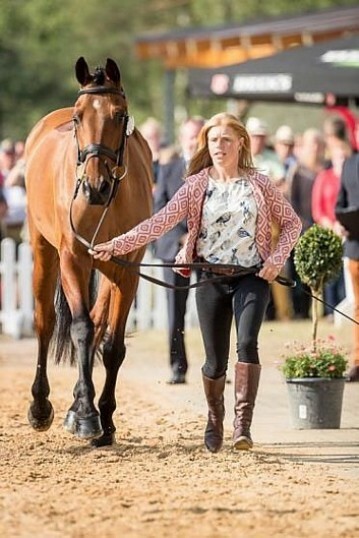 I was leading the 4* on Flying Machine after cross-country in 2011 but had fences down in the show-jumping to finish 4th, I then won Team Bronze with Jakata at the Europeans in 2011 and finally had a really frustrating 50 penalties for a missed flag with Quarrycrest Echo in the 4* in 2018. I hope that one day I can come back to win the CCI5*-L! 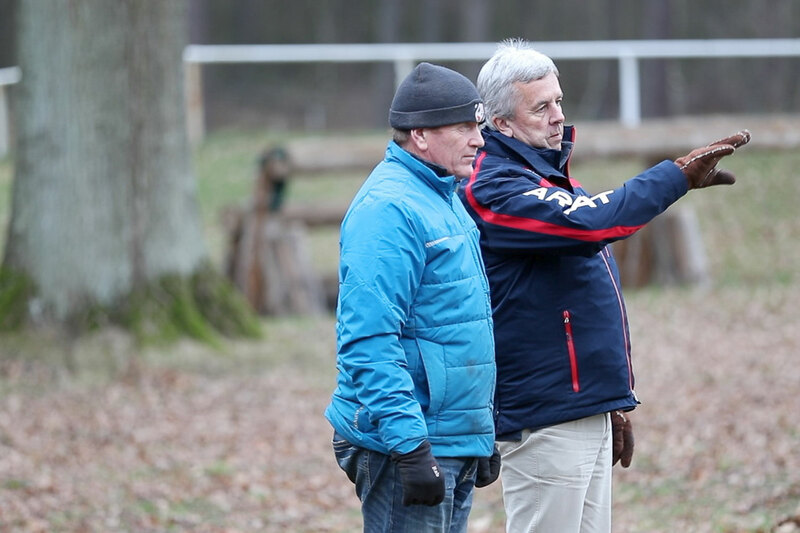 The partnership and the trust between rider and horse is at its best in the cross-country phase, training in nature and the wonderful competitions. Yes, I’m planning to ride Asha P CCI4*-S in June and SAP Hale Bob OLD at the European Championships in August. For me, Luhmühlen is an outstanding event where riders and horses can compete in a terrific atmosphere. I used to love coming to the cross-country day as a child. Watching Lucinda Prior-Palmer win the European Championships was extremely impressive. Luhmühlen is one of six five-star-events worldwide and has hosted five European Championships (1975, 1979, 1987, 1999 and 2011) and one World Championship (1982) in over 60 years of eventing history. 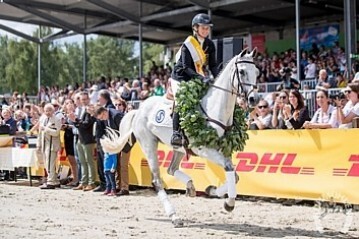 This year Luhmühlen is going to host two exciting events: the Longines Luhmühlen Horse Trials (13th -16th June 2019) and the Longines FEI Eventing European Championships a few weeks later. 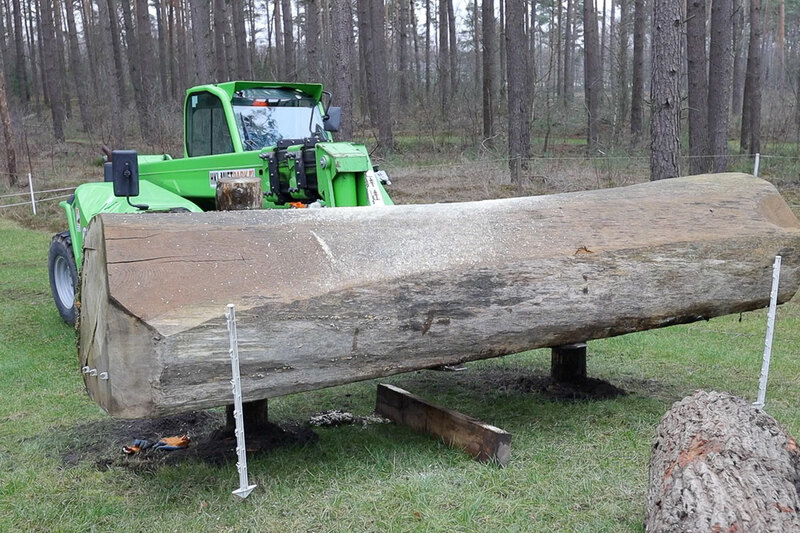 The venue is situated about 45 miles south of Hamburg in the Lüneburger Heath and offers a great family day out, to enjoy top level equestrian sport as well as great hospitality and shopping options. For both events 2019 the ticket sale has started and already shows a huge interest from the spectactor’s side. It seems to be a popular Christmas present. 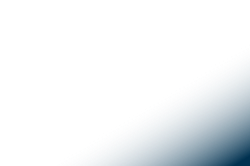 The classic event including the German Championships will take place in June. In August, only two and a half months later, Luhmühlen will then host the newly named Longines FEI Eventing European Championships for an incredible sixth time (1975, 1979, 1987, 1999 and 2011). So preparations are on their way for next year’s events. “We are immensely proud of this new contract and the ongoing and increased partnership with LONGINES for this very special year ahead of us and more years to come and are looking forward to making these two events truly exceptional“, says Luhmühlen’s event director Julia Otto. 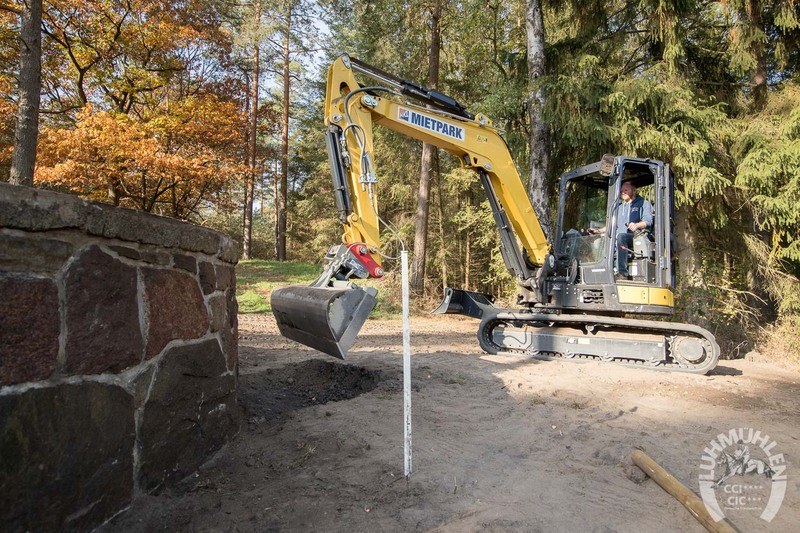 “Many companies have supported Luhmühlen over the years and have thereby played a key role in keeping up the Luhmühlen tradition and letting the event develop into one of the major competitions worldwide. We are extremely grateful for all the support we have received. 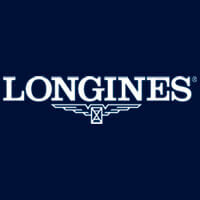 LONGINES, one of Luhmühlen’s main Partners and the Official Watch since 2014, has been supporting equestrian sports thanks to its important timekeeping know-how. Their engagement is helping us to develop the event further every year”, adds Julia Otto. 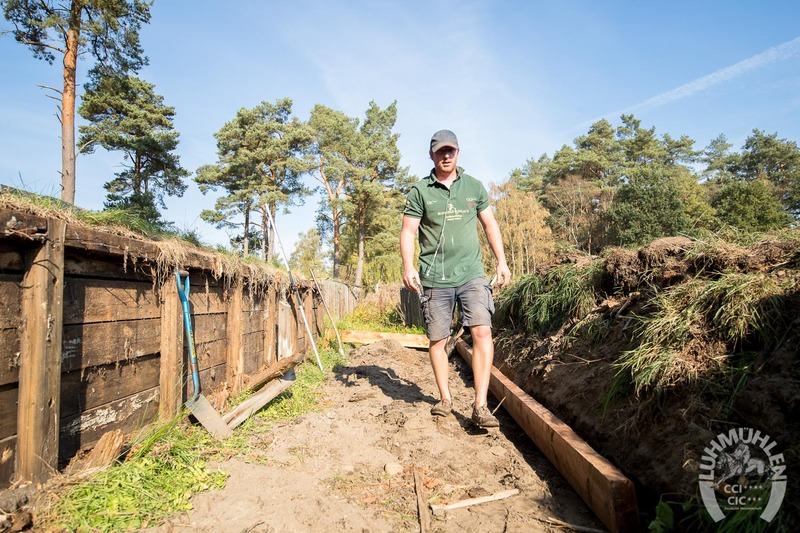 “After Blair Castle in 2015 and Strzegom in 2017, it is a great pleasure for our brand to even further reinforce its partnership with Eventing in becoming the Title Partner and Official Timekeeper of the 2019 Longines FEI Eventing European Championships and the Longines Luhmühlen Horsetrials. We are proud to lend our support to these two major competitions, in a discipline which requires both the horses to be extremely versatile and the riders to have exceptional skills. In addition, this discipline illustrates values of our brand as it combines elegance of dressage, precision of show jumping, speed and courage of cross-country” says Juan-Carlos Capelli, Longines Vice President and Head of International Marketing. The FEI will introduce changes concerning eventing regulations by the end of this year, which will then be implemented in next year’s events. First of all, everyone has to get used to the new wording of the star levels. The known CCI4* will be upgraded to a CCI5*-L (L = long and indicates the distance of the cross country course) and the former CIC3* will be in future a CCI4*-S (S = short and indicates as well the distance of the cross country course). “The requirements for a five-star-competition will be adjusted, mainly in prize money, and we are looking forward to fulfilling those in Luhmühlen with the strength of Longines partnership”, sums up event director Julia Otto. 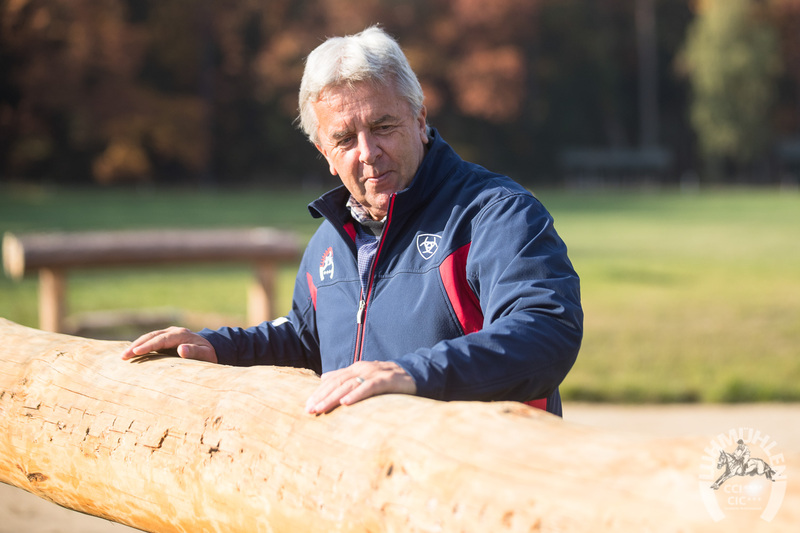 Hans Melzer, Germany’s chef d’equipe, announced the long-list for the World Equestrian Games in Tryon (USA): Andreas Dibowski, Michael Jung, Ingrid Klimke, Julia Krajewski and Kai Rüder are the top five. Reserve riders are Sandra Auffarth, Jörg Kurbel, Josefa Sommer, Felix Etzel, Andreas Ostholt and Claas Herrmann Romeike. 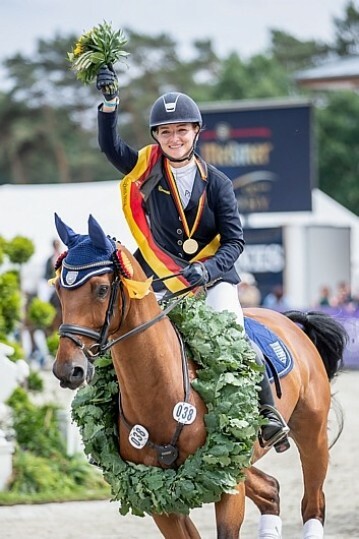 All riders will be competing at CHIO in Aachen, Germany or in Strzegom, Poland later in the year as a final test before a decision is made who is going to represent Germany in Tryon. This year’s Badminton winner has done it again! Jonelle Price wins the four-star-event 2018 in Luhmühlen on her little but very feisty grey mare Faerie Dianimo: “This mare can be a little crazy at times – she can be difficult in dressage, very strong in cross- country and jumps like she is huge - but this is what makes her as good as she is!” Jonelle continued by saying she never ever thought earlier in the year, when she tried to get back to full fitness after having had her little boy last August, she would be winning two four-star competitions in a row. She thanked Julia Otto and the whole team from Luhmühlen for the fantastic organisation and hospitality and that she is already looking forward to coming back next year! According to Ros Canter, Zenshera was a real super star from start to finish: “He really gave it his all in dressage, ran as fast as he could in yesterday’s cross-country and jumped incredible today – especially because show jumping is normally his weakest phase. I really could not have asked for more!” Boyd Martin, rider from the US, and overnight leader after the cross-country, had to withdraw Shamwari before this morning’s trot-up, as he is thought to have strained a tendon. 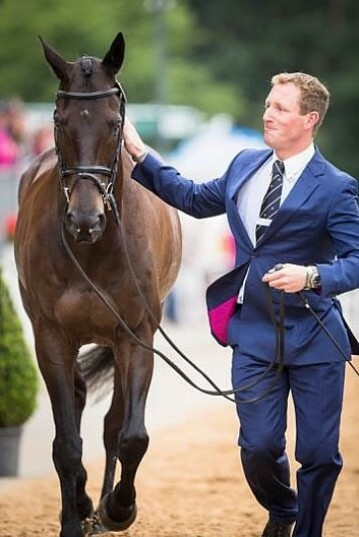 Alec van den Abeele, chef d’equipe for team Belgium, thanked Julia Otto, event manager TGL, and her entire team on his and Chloe Raty’s behalf for the support and help she and her horse Axel Z received after yesterday’s devastating accident. Chloe has travelled home but felt she wanted to express her gratitude for all the care and attention they received from beginning to end.